A stunning gift for a new beginning! If you have been searching for something special, you have found it. This gown will be an heirloom to pass on for generations. 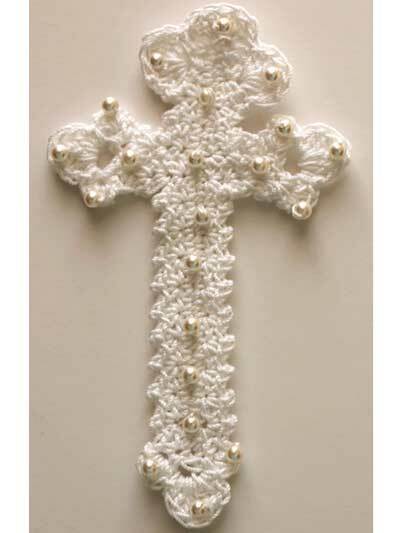 Instructions are included for a gown and bonnet plus a cross and beaded flower appliques. Sizes span from Preemie to 12 months. 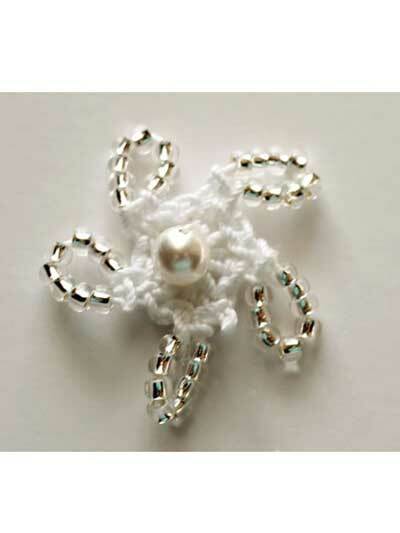 It is made using size 10 crochet cotton thread. 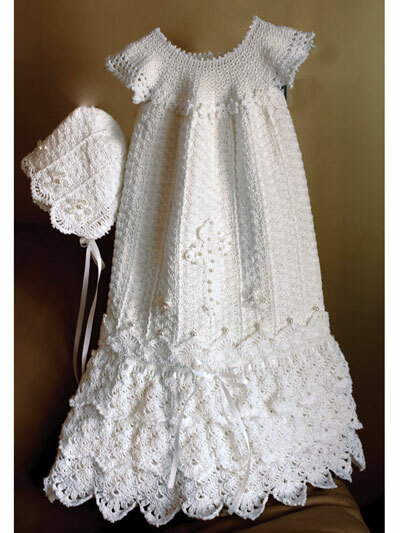 I made this christening gown for the new baby of our parish priest and his wife (Anglican) three years ago. This is one of the most beautiful pieces I have ever made. The pattern was easy to follow and was fun to make. Because the baby is a boy, I trimmed it with tiny blue teddy bears. The gown and bonnet have become family heirlooms to be used for many generations. Thank you for this pattern.... This was my newest challenge.... it came out beautiful! I have already made the Serenity gown and was given to a friend of mine. I loved the pattern so much. Will not hesitate to make another one. Love it working on it now for new granddaughter to be born in march. I am just completing this outfit. I have loved every minute of it as it was challenging and exciting to see the results. 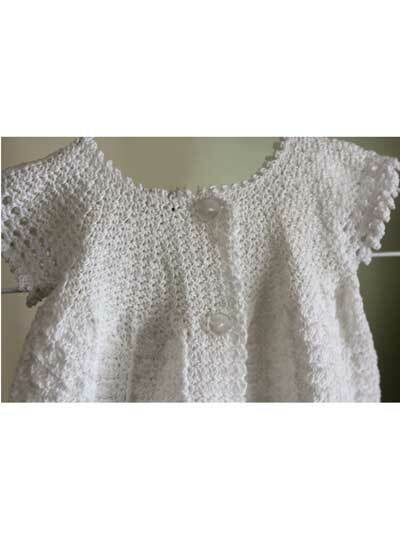 The one thing I will do differently the next time I make this is leave a longer opening in the back to make it a bit easier to put on the child, especially a newborn. Otherwise, it is beautiful and worth the time.